Lets be frank here, it is hard to buy Actovegin in Australia because of variety of reasons. The most obvious being that it is manufactured in Europe and sold only in handful of countries in Europe. It is not ancient history that Australia had a doping scandal, at least sort of. Australian football and domestic rugby sports in year 2013 was under a magnifying glass for using PEDs, but as it turned out after investigation, the report was superficial and in times very incorrect by naming some drugs not tested for human use when they where already very widely used by humans in Russia and some parts of Europe. In this report also name of Actovegin popped out , right now in Australian football and rugby Actovegin is allowed to be used but first it should be approved by club’s doctor. 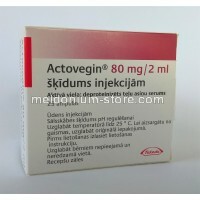 The latter suggest that it is used in Australian sports teams and it is possible to buy Actovegin in Australia. Actovegin has had it share of abuse, it is called a sham a non real drug and in the same time its status has been exaggerated to level where it has been called magic performance drug. It also has had a colorful life in life of athletes, it has been banned by WADA as PED only to be unbanned after a year. Right now it is WADA legal and Wada has imposed some restrictions . It is illegal to inject more than 50ml in some time period, it is irrelevant because 50 ml is a huge dose. The biggest ampule you can buy is 400mg/10ml, they are 5 in package. It means that one should inject more than 2 packs of biggest ampules out there to be eligible for ban. 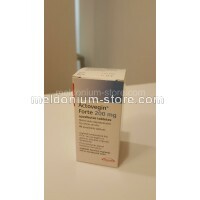 So what is this double faced drug in reality and how can one buy Actovegin in Australia. 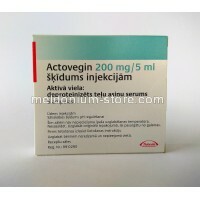 Actovegin is just calf blood filtered a lot of times till it becomes a substance which is safe to use and basically becomes a cocktail of protein and oxygen rich stuff. It is available in form of tablets or injections, injections comes in wide variety. The injections are reported to be more effective than tablets. It is very effective in treating muscle tear – injuries and is used after workouts in professional sports. Also there are some researches that suggest that if used in larger doses , it can and is increasing performance because of positive impact on metabolism. In order to but Actovgin in Australia one has to find a vendor which is going to ship to Australia, preferably one that will use Decoy. It is safer to use decoy since Australian customs like to check packages which are labeled as medicine and trough them away. I also want to note that there have been very few side effects observes while using Actovegin, if you think of what it is , it becomes clear that it can be used safely. Off-course there is a possibility of allergic reaction but this could happen with virtual anything.